From the Middle East and coffee to men’s colognes, cardamom is this season’s favored fragrance note. After saffron and vanilla, cardamom is perfumery’s third most expensive spice. And while in ancient times, the Egyptians were said to have used it in perfumes and incense and to whiten their teeth, its essentials oils are now favored for their woody, sweet, somewhat nutty and aromatic scent. It’s subtle and spicy and often reminds me of the smell of suede, there’s usually just a nuance of it to add depth, spiciness or what I describe as a masculine, leathery effect. Truth be told, I had probably experienced cardamom long before I knew it. Cardamom is like that. Once you know its scent, though, you recognize it instantly. It becomes almost haunting: you dream of it, you desire it. Have you ever smelt natural cardamom pods in your life? The pod, when chewed, is papery and tough. I can see why it was once used as a toothbrush. The black seeds inside contain the flavor. The intoxicating scent is at once lemony and camphorous. I chewed some of them and...man. There’s sweetness, quickly eclipsed by bitter lemon rind-like taste. Then comes menthol and camphor, a greenish Eucalyptus, and a slight numbing of the tongue. Smelling the crushed pods and seeds reveals the camphor, and when deeply inhaled it cools the nasal passages. What about Cardamom Gender Neutral? The initial smell you get after spraying the perfume is freshly smashed green cardamom pods, unquestionably. I am pretty sure about it, cause I am used to preparing flavored honey, and the one with floating cardamom pods smells exactly like this. The blast is mixed with citrus fruit, presumably lemon peel. Normally, I don't criticize olfactive perceptions of others, but the reviews stating that ain't cardamom in there are tremendously weird and misleading. It is definitely a solid monoaromatic fragrance. The smell of cardamom spreads very rapidly. Later on, it comforts me for at least three hours. I blindly bought it, knowing nothing about it Actually, there are so many pricey disappointments in the market. In comparison with those, Zara perfume is actually a treasure hidden in a mainstream mass-market bottle. The heart pops up after a while as the citrus and pepper notes fade, it is rich of white blossom, I seem candid rose and sweet jasmine, I get the leafy aroma of the tea, and overall the heart is green, herbal. It is still a bit spicy, unsure if that is cardamom trail since it is the start of the show or the presence of a kind of like juniper berry that adds an almost herbaceous note reminiscent of cedar. The juniper is the last of the heart notes to fade, which brings forward an extended cedar scent. Meanwhile, a spicy and leathery wood note comes into play. Whilst not quite an oud, it does have the thick and oily prominence that you’d expect. Finally, a touch of mossy thing adds an element of musk while the cardamom continues to give gourmand whiffs. Although deep and heady, Cardamom is far from overpowering. The notes cycle through their dry-down with a few transitional notes extending others along the way. As mentioned above, the cardamom is really what makes this fragrance sing and is omnipresent throughout its lifespan. I habitually do three to four sprays on my wrists, chest, and hair after having a shower. Usually, the smell lasts until lunchtime, making the first half of a day meditative and fulfilling. Although the projection and sillage are both quite tight and stay relatively close to the skin, the longevity is impressive. My best preferable weather for this frag is spring, late summer, and autumn daytime when the temperature is still mild and warm. It is very enjoyable to feel how a warm eastern spice note comes into contradiction with a biting breeze. In terms of occasion, it can be quite versatile. As much as it’s a respectable office fragrance that isn’t overpowering for small workplaces, it’s best reserved for the nighttime. Therefore, whether you’re just going out, staying casual or enjoying your evening, it’s a wonderful companion. Finally, Cardamom is a strange beast when it comes to the masculine. On paper, its notes are rather masculine and sound like something best worn by men. However, it’s very much a unisex fragrance that can be bought by anyone or even shared by a couple. I was captivated by the flask. The shape is similar to Bottega Veneta's fragrances, the juice inside is pale green, and the cap has the company's logo with a leather strip... But, all that glitters is not gold. To begin with, I think I have some trouble with La Martina fragrances, cause this is my second purchase from that house and I am still facing the same issue: I hardly detect any scents when I apply it on my skin. 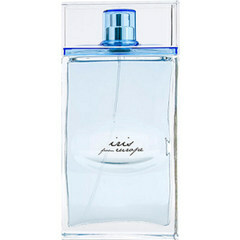 The first one was Cuero Hombre, I've fallen in love when I saw the bottle, but disappointed when I wore it the first time. And here we go again! When I first sprayed Adiós Pampamia Hombre on I couldn't detect anything at all, even right after I spray it a second time. The cologne was sold at a special price, merely 30euro for 100ml, and after checking the notes here I blindly bought it. I wish I could get the spicy, smoky, floral, and balsamic accords, yet it was not so obvious. I have the impression that despite the scent is classified as an EDT, it is equivalent to an EDC for what concerns the projection and sillage, perhaps ITALART has different criteria in making the fragrances. Now that almost 2 hours have passed I can sense something soft, milky, woody and airy with just a slight touch of sweetness. It is very pleasant indeed, but I really have to put my nose to the spot I sprayed it on to pick up anything at all. But I can see why people might like this, it's inoffensive but still unique and pleasant smelling. Long story short, the cologne on both the paper strip and my skin opens with a blast of boozy alcohol, perhaps that comes from the aldehydes, and after a few minutes, I start smelling a soft spicing aroma of pepper slightly burnt and incensed. The heart reveals a floral bouquet, the orange blossom is gentle and mild, and the ylang-ylang adds a touch of creaminess. But you have to wait a long while before getting the resinous, powdery, and lactonic aroma. The drydown last many hours, it is very close to the skin, but you can smell it even the day after. That means, the cologne has impressive longevity, still is very contained and does not fill the room where you are in. My take on this, if you like gentle and harmless fragrances, with soft caresses of spicy, floral, and powdery accents, this one is for you, no matter if you are a typical male, female, young, old, or anything in between. It could be worn at the office during the day, and it won't bother the people near you or on your way. It's fine for meeting friends, for social events, but clubbing. Spring is the right season, maybe too delicate for the rest of the year. All I can say is that the overall fragrance is great, but the performance could be better. Pull and Bear Soft Blue is part of a trilogy, together with Canvas and Mint. Albeit they were all good at the first smell, this one fascinated me most. Because it smells a little weird, and I mean that in the best way possible. This is not a straight floral fragrance, and it's not a straight woody fragrance. It gave way to a new olfactive trend: a green woody fragrance. As usual, the trilogy was targeted to the female gender, yet I didn't care and bought it. I like the balance of the woods, the greens, and the florals: it smells like a forest in early summer. I enjoy that very much, as I dislike fragrances that are so heavily floral and sweet, not my cup of tea, seriously. Since I am wearing it today, a marvelous warm spring day, here you are my first impressions. Fresh and alluring, the fragrance opening consists, to my nose, of green notes, what I get is a sort of mild blossom mixed with an ozonic smell, I imagine that lily of the valley bell and violet green leaves accord are plausibly in the opening. This blend creates a kind of like ripe banana accord, but I feel there's another floral note here too. Another white flower, tuberose perhaps. Pretty sure it's tuberose. This lends a very natural smelling of the banana skin element. The opening is bright and citrusy, and it is green, but it's a very soft, dewy and pale sort of green with plenty of violet leaf. On paper, the green opening lasts for ages, and the violet leaf predominates, but on the skin, that and the florals, a brief whoosh of something that could be lily of the valley, I suppose, although it could just as easily be another vaguely spring flower blend. Then comes the heart, Soft Blue evolves, the likely iris note reveals a powdery essence. I even smell fig accord. There is a sweet peppery note in the heart before it fully dries down that lends a certain figgy quality to the scent! Not so much based on the scent of a fig, but more so based upon the scent of the fig in perfumery. To me, the fig accord is not due to the presence of any fig part, yet is the result of a mixture built around cedar wood. I found all of this quite fascinating and it lasts for a couple of hours this way on my skin. So, while I'm overly keen on the stages leading through to this, I am more than a little pleased when the finale comes into fruition. The cedar vibe is so warm and welcoming, so smooth and fuzzy, somewhat musky. It also shares some traits with the cedar in the dry down of Accord n° 3 Woody by Zara, and some of the peppery cedar of B. by Balenciaga. I'm a fan of cedar scents in this style. Every now and then I get a whiff of tea leaves, not the lemony green quality, rather an English breakfast black one. All those weird facets come from the cedar wood, I am more than sure. Although other blond and mild woods might be in there, cedar is ruling. What you perceive within the first 5 minutes is what you get the hours later. On me, this delicate thing wears like iron and it hums the tune of lily of the valley, violet, and cedar with remarkable consistency. A very green accord which is suffused with steam and humidity. Congrats Pull an Bear! I think I will add the other two to my collection, this one worth it and make me think the same for the others. Sometimes, the best fragrances are those that listen back to the traditional. 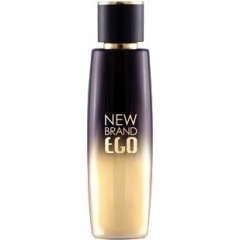 This New Brand EGO Gold, shamelessly inspired by the popular Green Irish Tweed, evokes the sophistication and natural beauty of the Emerald Isle, the poetic name for Ireland due to its green countryside, with the lush scent of freshly cut grass, wild meadows and a hint of salty sea spray. It’s a multi-faceted scent that is meant to complement the changing temperature of your skin, resulting in a range of different aromas throughout the day. I've sampled EGO Gold, so I knew exactly what I was getting. It is classified as woody and fresh fragrance and some may even say it is an aquatic given that lemon verbena and mint are the initial notes. It is clean and crisp and very classy. The official Fragluxe site states that it is a classic scent inspired by old Hollywood with notes of lemon, verbena, peppermint, violet leaves, Florentine iris, sandalwood, and ambergris. This is a throwback: my very first aquatic cologne purchase was Cool Water. I remember it distinctly because I enjoyed its crisp aquatic smell. I would have to do test side-by-side to differentiate the nuances the two, which will never happen, as it has been many years since I've put it on. Right off the bat, they seemed to be similar, with a bit of Irish Spring soap in the mix, an elixir of early mornings, and that is what I got of it. But in the end, there is no comparison, just the same vibe every now and then from the same mint-sandal-amber accord. EGO Gold uses iris and violet coupled with ambergris and sandalwood in it's drydown, while Cool Water goes through a more complex mixture of barbershop fougère notes with lavender, cedar, oakmoss, and musk. EGO Gold starts off very fresh and green with the lemon verbena and mint. Pure greenery at the first spray with a touch of mint, and plenty of leafy lemon aroma. Stays this way for a while. As soon as you spray it on your clothes, you’ll have an ego boost, which is just how great it smells. This quickly switches to traces of irises and violets, because only the most sophisticated men can pull of colognes with floral notes. The iris is very soft, so do not expect to get a buttery, powdery, lipstick smell when spraying it. I barely detect iris, rather a leafy and greenish aura rendered by the violet leaves is what reaches mostly my nose. Once these middle notes subside, the base notes of sandalwood and ambergris shine through, creating the unique mossy smell that no other cologne can currently match. The dry down is pretty amazing and the scent is rather linear. Ambergris comes to the forefront in the end, it is not invasive and does not overwhelm the other phases of the development. Even still, the top and middle notes are still evident on your skin and never completely disappear which is great, and the tale signs of a great fragrance and quality ingredients used to create it. Fresh cut grass, citrus, iris, violet leaf and presumably synthetic ambergris done to perfection. EGO Gold is actually quite simple and elegant, with a beautifully-unfolding green floral middle, because of that iris and violet, and no need for chemical white musk because the ambergris is such a complex, round, and rich base note that it requires no extra fattening with laundry musk like literally every aquatic with a composite amber note born in its wake. Pertaining to the occasions to wear, this is a fragrance that a man can wear all year round and never seem out of season. It goes well with jeans and a T-shirt as well as a suit and tie. It can be worn by any age group of men during any season of the year and is ideal for work. Nonetheless, I am reaching for it during cool/warm seasons. The nice thing about this fragrance is that it can be worn at any time throughout the day, whether you are going to the office or going to a party that's fine. A few years ago, I added a couple of Alviero Martini's gems to my growing collection, the dark GeoBlack and the tender GeoWhite for Man. But it was only the last summer that I came across the Essenze di Viaggio collection, being Iris from Europe one of them. Actually, I met Incenso from Asia first, but it was the last bottle on the shelf and I kindly gave in to a friend of mine. However, I was lucky enough to find both Iris and Incenso online, tester bottles, and now they're mine. I must admit that I was surprised when I sprayed Iris on my skin. I mean, I was expecting the well-known iris powdery vibe, but the amazing aroma was everything but powdery. 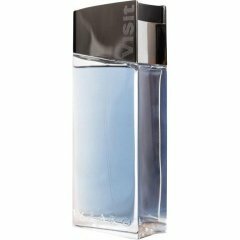 There is no hint of Dior Homme, Infusion d'Iris, or Bois d'Iris vibe in there, anyway, the freshness, clearness, and airiness of the scent astonished me. Iris from Europe opens with a blast of citrus sweet aroma, the lemon and the kumquat, a bite-sized citrus fruit, dominate the scene. These zesty fruits are sugared by the presence of the fruity kiwi, freshly cut kiwi that smells citrusy and light, with a touch of sweetness. The overall redolence is invigorating, so fresh, airy, cool for awakening the senses on a springtime morning. When that brilliant zestiness calms down, a floral heart blooms. Lily-of-the-valley is the queen note, with its delicate white aroma, reinforced by the incredibly intense aroma of the Jasmine Sambac, that is very floral, yet more musky and masculine than the Jasmine Grandiflorum. Maybe, this jasmine type turns the scent into a genderless and even manly cologne. What about the iris note? Well, no matter how much I've waited, to me the iris does not come to the forefront. You could be a raider of the lost iris and won't find it ever. And I am not anosmic to the iris note, given that I immediately recognize it among tons of mixed notes. There is no lipstick, make-up, powdery, or buttery feel in there, which lets me down a bit, yet the overall fragrance is so lovely. The heart is brave and lasts quite a few hours before the drydown notes come in the foreground. Misty vetiver and woody blue cedar create a dreamy vibe, neither too earthy nor too ligneous. The creamy musk stays close to skin fixing the final notes for the whole day. My two cents. The fragrance is fair enough to be worn at the office, or on a leisure weekend out, daytime is recommended, yet it won't be unseemly for late afternoon and evening, definitely not for a night out or clubbing. Too weak for both cold and hot seasons, it performs the best in springtime or late summer and beginning of fall. To me, it is a genderless frag, don't care about the women target. If I had to compare it with other men's cologne, I would say that it belong to the same class of Kenzo Air, CK Truth, and Boss Pure just to mention a few. I blindly bought it finally in a COIN outlet store, lusting after it for weeks. It is the second fragrance that I've ever tried from Phytorelax Laboratories, an Italian brand that uses 100% natural ingredients and created 8 different genderless fragrances, so I didn't really know what to expect, but I wasn't disappointed. I loved this perfume on the first whiff. It is such a charming combination, well-blended mix of heavenly neroli and citrus fruits, peach and orchid, iris and lily of the valley are more wood and musk. Was craving for a very elegant, refined fresh floral for Spring, after the winter period full of heavy gourmand and orientals. This was the kind of beauty I was looking for. This frag is all about the white florals and the fruity elements play a supporting role. In the opening of the fragrance, I get a blast of bright and brisk neroli flower and a bit of juicy kumquat. 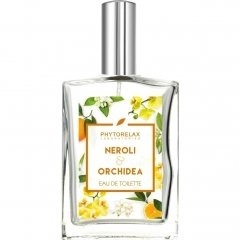 It starts with an air of a quality brand and not something cheap and soon presents neroli (aka bitter orange blossom) with a fruity twist beneath. I don't smell neroli as much as I get orange blossom, although maybe it's a tad fresher than it would be if only orange blossom was used. Instead, I get a lot of lemon blossom, blended with blood orange and kumquat citrus peels. It's citrusy, but very juicy citrus and it's packed with gorgeous flowers. A lemon blossom/neroli combo that stays away from being cloying, yet rocks a delectable juicy citrus facet atop a white flowery core. I also smell beautiful lily-of-the-valley and a warm velvety floral scent that might be the caressing white orchid, ts cool floral notes lend a fresh, Spring-like air to the warmth of the orange blossom, mixed with the peach and figs, a sort of milky figs that keeps the peach from being too sweet. Peach can be such a tricky note. When it's done well, it's gorgeous, but it's often done in a screechy kind of way which I find very offputting. This is one of the rare ones that do it well. The transition from the citrus opening to the white floral heart, still with orange notes is seamless. The fragrance has a velvet, waxy feel, and I can almost smell something like honey that gives sweetness to the composition, maybe a bit too much at times. That is the white orchid, which reminds me of Tom Ford Black Orchid, but is a more tender manner. The florals are really soft and pretty. There's an aquatic feel to this. Not ocean aquatic, more gentle stream. Now, what exactly does "caressing white orchid absolute from Madagascar" smell like? There is an orchid that smells like coconut, and others that have scents similar to chocolate, lemon, baby powder, cinnamon, and many varied things. I am guessing that the white orchid from Madagascar is reminiscent of lilies, Nicotiana, and to my nose the cool, metallic, fresh, green notes of lily of the valley. The drydown goes a bit more vanillic and creamy musky than the flowery heart. Underscoring it all is a delicate silvery tinge of iris and white musk. Given the list of notes, you might think it'd be overpowering but the overall impression is elegant, feminine, delicate, sophisticated and airy. Neither the fruit nor the floral notes overpower each other. It remains clean and fresh lasting about 6 hours. The longevity is excellent, along with a nice projection. Full bottle worthy, despite the sweetness. But picking the notes apart is irrelevant in this fragrance. It's like a mix of flowers, trees, and herbs releasing their scent into the air on a warm spring afternoon. The very essence of springtime. It is feminine? Yes, but not in an old-fashioned lady style. If you are anything like me, you will love it even when worn by a man. 1881 Pour Homme combines sun-kissed spicy, herbal notes of wide-open spaces with lingering undertones of shady, velvety woods. It gives an overall impression of air, water, and nature. Entirely unique, it is discreet, refreshing, seductive... and modern, either. Happily, it underwent a balanced reformulation and right now I can wear it without feeling bad... I still remember when I got it as my B-day present on Jun 1990, a friend of mine guessed that this brand new launch would have matched my taste, and it did. Right of the bottle, the scent was so dainty, vivid, floral, and musky, a disruptive novelty for those years full of strong and opulent beasts, but that was the '80s and '90s. No matter how much I liked it, the very first time I decided to wear it was an absolute tragedy... the fabulous aroma I smelt when I opened my gift turned into a sickening odor that revolted my stomach upside down, inside out, and got me a migraine. Something "lewdness" or "indecency" was present in the top notes, not sure what note was causing it, yet I had to give it away. A beautiful Angel that transposed into a dreadful Daemon when melting with my skin! So sad and so disappointed... What a pity to see all that sought-after 100ml bottle go to waste. Conceivably, the scent underwent to IFRA reformulation, and every now and then I'd try a sample again in a store, and I started thinking "You know, this really isn't bad at all"... And it really started to grow on me. Last time I ordered on-line few colognes a few weeks ago, it' was almost at a knockdown price, and I blindly bought it again... So I got my reformulated bottle. When I tested it again, I was pleasantly surprised. No more sickness, no more migraines. To start with, 1881 Men by Cerruti is a fresh scent, with its aromatic woody notes, which make it fluctuate between aromatic fougère and citrus woody. It opens with delightful notes of floral accords which soon give way to a wonderful drydown which boasts notes of citrus, spices, and wood. Aromatic lavender, velvet bergamot, and spicy juniper are the blast blend, with bones of cypress resin. Bergamot notes dominate the head, which is closely followed by the sweet floral essence of juniper. Lavender notes add an element of aromatics whilst the presence of cypress ensure a green, fresh backdrop. Some may find the head particularly cloying. Its sickly sweet assortment of juniper and bergamot can be overwhelming for some, which lacks any dry substance for contrast. The heart is an assorted bouquet of lily of the valley, carnation and ylang-ylang make a remarkably floral heart. In a similar approach to the head, vetiver is used to provide green freshness. 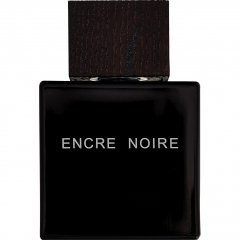 Its presence also somewhat reassures us that this is indeed a masculine fragrance. It’s base still features lingering floral and citrus notes. Nevertheless, its accord is predominantly woody with an array of various scents. The dry, spicy warmth of cedar interacts with the fresh vibrancy of pine. Meanwhile, oakmoss and patchouli add substance with fragrant notes reminiscent of wet soil. Generally, if you are anything like me, you would be put off by the head but enjoyed the dry down. I like to listen, and give you a blank stare while you talk. You'll never know what I'm thinking. I don't take very much seriously. I'll say anything to get your trust. I probably won't abuse it but if I have to I won't hesitate. I'm perfectly fine with myself. I'm independent. I hate being called out. Some say I'm shy but I'm just shady... And I am fond of 1881 Cerruti Pour Homme. The longevity and projection are amazing. The fragrance itself is a clean fragrance with lots of wood and herbs. Very attractive but definitely, even for the younger crowd. I never once thought it smelt old, I only thought it smelt good. 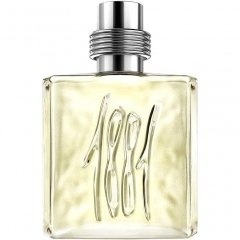 I am also surprised that there aren't more reviews of 1881 considering it has been around since 1990, but perhaps many have missed out on this hidden gem, or also been put off by the opening This is a highly underrated fragrance that is definitely worth a try! Wow, what a steal this scent is. I bought this online blind for nearly 20 euro, this is a fantastic fragrance. A bit strong at first, it's really a classy fragrance that could be worn day or evening through spring. Dressy or casual. So glad I readded this one to my collection. Perhaps not an earth-shattering fragrance but distinctive, versatile and fairly complex and with good projection and longevity, plus available remarkably cheaply. The jar of Visit will captivate you, as it's very comparable to the Flatiron Building, originally the Fuller Building, a triangular skyscraper located at 175 Fifth Avenue in the Flatiron District neighborhood of borough of Manhattan, New York City... "one of the world's most iconic skyscrapers and a quintessential symbol of New York City". I've come across Azzaro's Visit lately after I bought GF Ferré Lui and read a few comments mentioning the similarity between the two of them and Gucci Rush as well. Since I like the woody and spicy aroma of GF Ferré Lui I searched on-line for Visit and found a reasonably cheap one on eBay. Notwithstanding the number of distinct Azzaro's colognes that are part of my collection, I am afraid I've never tested Visit before. This is a must have for any collector, it's classy, sophisticated, masculine and unique, the cedar-incense perfect blend is startling and just clear jaw-dropping... I am dumbfounded by this cologne, I can't believe I ignored it all this while when it was this good. I guess it was due to the presentation, to its indigo color that made me awkwardly think about an aquatic scent. Too bad. This underrated jewel is everything but a watery, salty, or ozonic cologne, yet it is a refined classic woody spicy scent. Hence, as soon as I got up this morning, I felt like rocking it, and I sprinkled a few sprays over my neck, chest, and wrists. The cologne is not overpowering, you don't have to worry about exaggerating a bit. All of a sudden, the air was saturated with a blast of spicy and minty fresh cardamom, supported by other spices that made the opening less medicinal, a touch of sweet nutmeg and a bit of piquant pepper. I did not get any citrus fruit note, so this opening should have a pleasant feel to people not liking the citrus aroma. It is very manly with a hint of sharpness and cleanliness to it, courtesy of the black pepper notes. Even though the top notes you can perceive cedar wood giving it a pencil-sharpener type of feel. A menthol-like flow from cedar needles carries the stirring brew to the heart. Here, the cedar comes into its own, imparting its richly balsamic and camphoraceous accord, and vies with a lively incense, with its resinous, myrrh-like smokiness, for dominance. As it progresses you get sweet, wood, and resin essences. Incense had been used in perfumery as an accent note but very rarely as the focal point. Here the typical masculine woody structure is infused with a significant amount of incense. The musk is boosted with a suite of sweet amber so that it provides a creamier woody foil. I am guessing this was to allow the incense to not become too astringent in this first use of it. The result is the incense comes in with a translucent quality while also becoming the focal point. Once it’s settled in, Visit is a smooth, comfortable perfume whose enveloping warmth belies its blue color as the blue Lebanon cedar. It doesn’t evolve all that much with wear. Instead, it holds a steady, linear course for several hours before its central structure gives way. The drydown that follows is mostly cedar and guaiac, the latter infuses its tea-rose woodiness, while a muted nutmeg is relegated to the background. The bustling incense flitters about in the background. A pleasant drydown ensues. There is a certain delight in inhaling the casual scent of spice, musk, and wood. Visit has 8-10 hour longevity and average sillage, it's very long lasting, such that you can apply once and you’d be able to enjoy its scent for several hours. According to my flavors, it performs better during middle seasons months, springtime and fall time are ideal, a daytime and evening scent, perhaps too weak for clubbing or night out.